Nicholas earned a Business Sciences degree from HEC Liege, Belgium. Nicolas spent six years as a Communications and Marketing Manager for the aviation company Sabena Technics in Brussels. 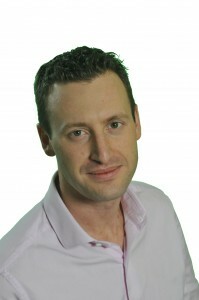 He joined EVS as Director of Marketing and Communications in October 2005. A part of Nicolas’ activities at EVS is to position the EVS brand in news and studio production markets.